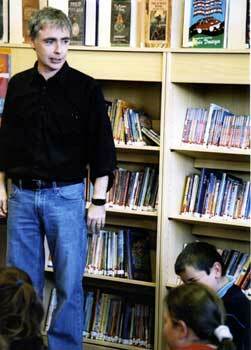 Storytelling is a most important activity whether teaching children to read or just to listen intently. Storytelling has all the benefits of reading aloud. It improves language skills such as vocabulary, prediction, sequencing, comprehension, story structure and recall. 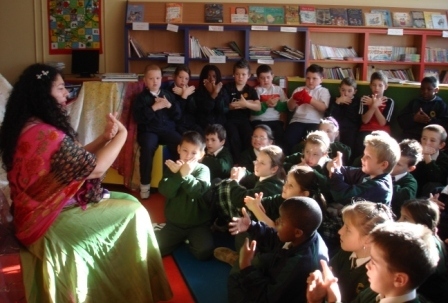 Storytelling has become an increasingly popular activity in libraries, the classroom, in day-care centres and as part of community celebrations. These skills also help children become better writers. Storytelling stimulates imagination. It creates a love of story that translates into a potentially life-long love of books. In human remembering, the past stays alive so story-telling not only supplies children with memories they cannot yet have, it also gives them virtual memory and the skill of recalling what they have heard others tell. Storytelling lies at the heart of all literacy, powerful in its effect and distinguished by its cultural differences. Listening to stories provides children with a language structure and a pattern to retell their own stories and to recount experiences and events. The Library Service sees the power of storytelling in bringing children to reading; in developing communication skills; in supporting family life across generations; in validating the life experiences of older members of the community; in recording elements of local folklore – the list goes on and on. A summary report and recommendations by Dr Donald Smith, Director of the Scottish Storytelling Centre, on his visit to the 2004 Wexford Storytelling Festival can be downloaded here.